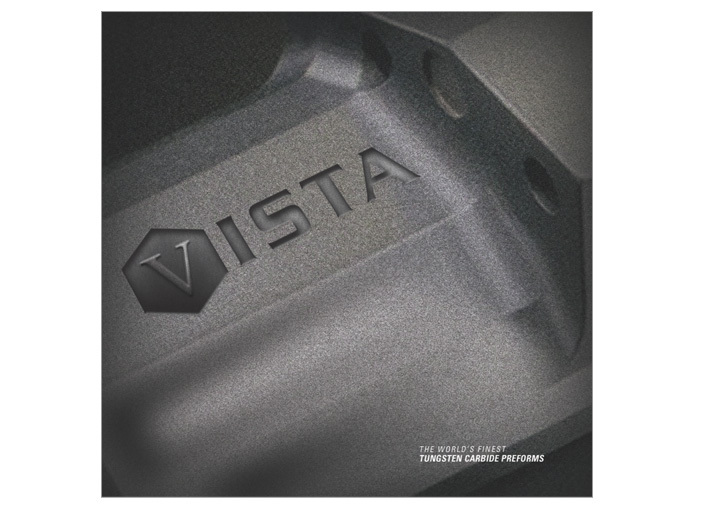 Vista Metals called on MJC's extensive industrial manufacturing background to produce a new corporate brochure highlighting their capabilities. 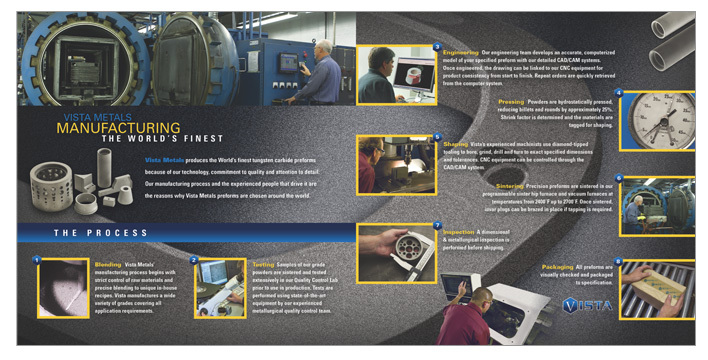 On-site professional photography was coordinated and taken of the manufacturing facility and products. 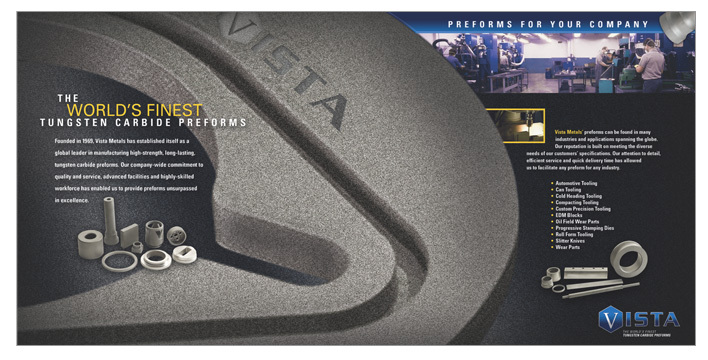 Implementing a cost-effective, long-term strategy, the images were also used in Vista's corporate video, trade advertisements, dynamic website and other marketing materials. 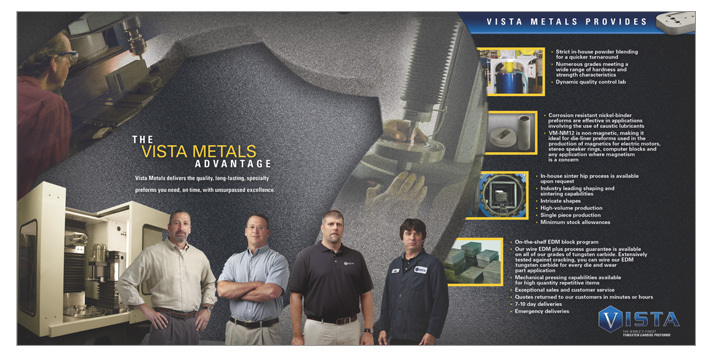 The brochure also highlights MJC's Photoshop capabilities.